So i dediced to add a new label to talk about movies. I had already read some volumes of the manga. I really really appreciate this movie the direction cut and the music. 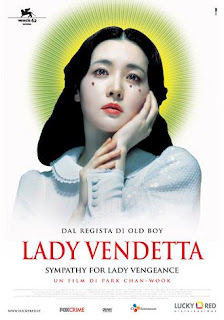 And in the end, talking about revenge i made him to watch Lady Vendetta, that isn't a japan movie but a korean one.